Workshops are a practical and authentic introduction to Zen Buddhism and an ideal time to see how spiritual training is carried on at the Casa Zen. Introductory Workshops, conducted by senior students of Roshi Graef, are a practical and authentic introduction to Zen Buddhism. During the half-day schedule of talks, question periods, demonstrations and guided meditation, participants are introduced to the body-mind disciplines of Zen Buddhism. In addition to providing an introduction to Zen, Workshops are an ideal time to see how spiritual training is carried on at the Center. Members are happy to answer questions about the Zen Center and its programs during the question-and-answer period or during breaks. Group leader Carlos Murillo begins the workshop with an introduction to the teachings of Buddhism and the main principles of Zen. There is a discussion of Zen meditation—what it is and how it is done. Questions and answers follow. Meditation postures, methods of breathing and ways of concentrating the mind are taught, followed by two 20-minute periods of guided sitting and walking Zen meditation. Closing words, questions and answers. 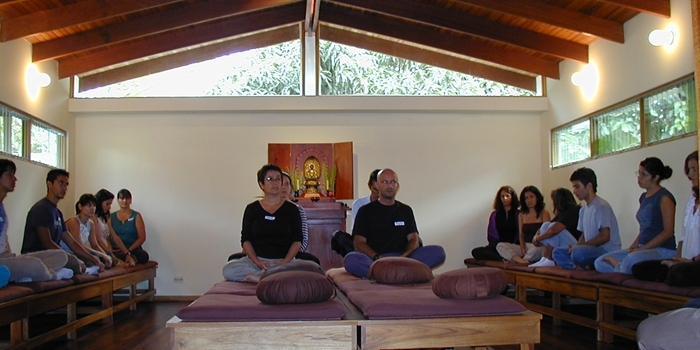 At the end of the Workshop there is information about practicing at the Casa Zen. Various books on Buddhism are available, and order forms for purchasing sitting garments and cushions. Refreshments. Participants are welcome to come sittings after the Workshop. We recommend that you arrive at least 20 minutes early for a brief orientation. The Casa Zen can provide overnight accommodations for a nominal fee if arrangements are made in advance. Please Note that the Zen Center is a place of spiritual practice with a focus of silent meditation and introspection. Loose-fitting clothing is ideal. Skirts should be both long and full enough to sit with the legs crossed; pants should be quite loose. Best not to wear jeans. Please do not wear shorts or sleeveless shirts. Workshops fill quickly. To reserve a space, please complete and submit a registration form. 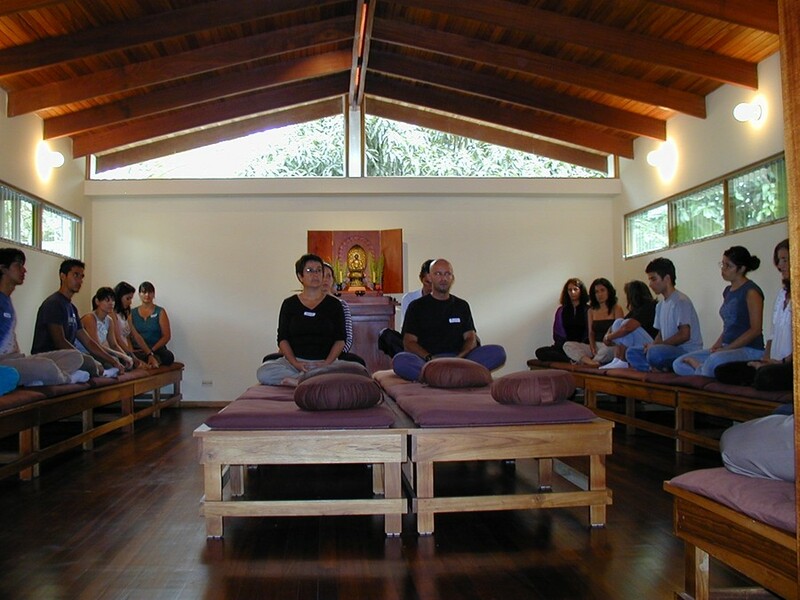 The Casa Zen is located in a residential area of Santo Tomas de Heredia. If you have questions or would like more information, please do not hesitate to call. We are happy to hear from you!